Systems of stars and interstellar matter that make up the universe are called galaxies. Galaxies are collections of stars and interstellar matter which constitute the universe. Galaxies are described as collections of stars and interstellar matter which constitute the universe. They are held together by gravitational force. Tens of thousands of galaxies have been recorded, but only a handful of them have been well described. Galaxies can have different shapes ranging from spiral, oval, to irregular. The term galaxy has its origin in the word galaxias, which is Greek for ‘milky’ (hence the Milky Way). 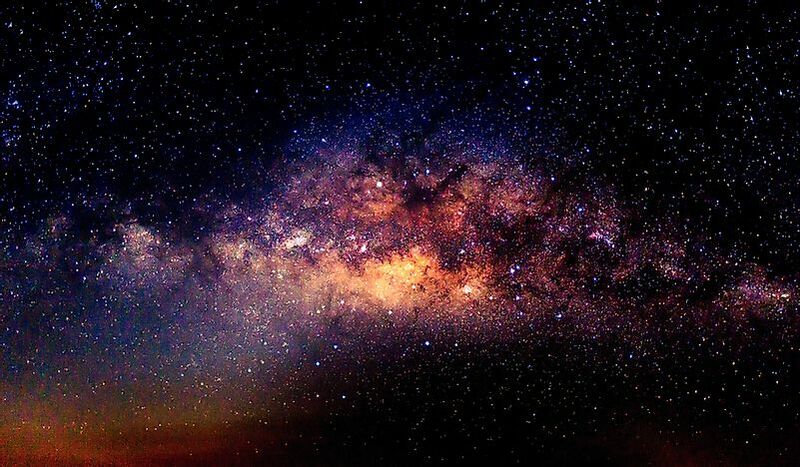 The milky way, which appears as a bright band during the night, had puzzled philosophers and astronomers in medieval times including Democritus, Aristotle, Mohani Mohammed, and Ibn Qayyim. Galileo Galilei, by the use of a telescope in 1610, discovered that the galaxy consisted of multiple stars. Since then, the Milky Way has been studied by a succession of scientists. It has a characteristic of a spiral shape and is estimated to contain approximately 100-400 billion stars. The stars which are viewed by the naked eye at night belong to this galaxy. Scientists have proposed that at the center of the galaxy exists a supermassive black hole. The Sagittarius Dwarf Spheroidal Galaxy serves as a satellite galaxy of the Milky Way. Its distance from Earth is estimated at 0.081 million light years. The galaxy's official discovery was made in 1994 by Gerry Gilmore and Mike Irwin, and it was described as the Milky Way’s nearest neighbor. This galaxy has an elliptical shape, and its orbit passes over the galactic poles of the Milky Way. The galaxy’s stars appear yellowish and it consists of four identified globular clusters namely Terzan 7, Terzan 8, M54, and Arp 2. The Ursa Major II Dwarf is known as one of the smallest of the Milky Way’s satellites. Its discovery came about from data collected by the Sloan Digital Sky Survey of 2006. The galaxy appears spheroidal, and it is 0.098 million light years from Earth. The Ursa Major II Dwarf is a faint galaxy, and its luminosity is even lesser than that of some stars such as the Milky Way’s Canopus. The galaxy is made up of old stars which are as old as 10 billion years. These stars have been theorized to be some of the first stars that formed the universe. The Large Magellanic Cloud appears irregularly shaped, and is a satellite galaxy of the Milky Way. Although the galaxy had been observed by medieval astronomers, its discovery is credited to Ferdinand Magellan who first wrote about it in 1519. It is 0.163 million light years from the Earth, and it is visible to the naked eye. The LMC is notable for its wealth in gas and dust which facilitate vigorous star formation. It is home to an estimated 700 open clusters, 60 globular clusters, 400 planetary nebulae as well as infinite giant and supergiant stars. Research has shown that galaxies move away from each other as well as collide into one another. The Andromeda galaxy, for example, has been observed to be moving towards Earth’s Milky Way. As the universe expands, galaxies which are distant from one another appear to move away from each other since the space between them is increasing. Hubble’s Law is used to describe this expansion and its effects.